Wilbur, Ellie, & Emily: CHAMPION!!! 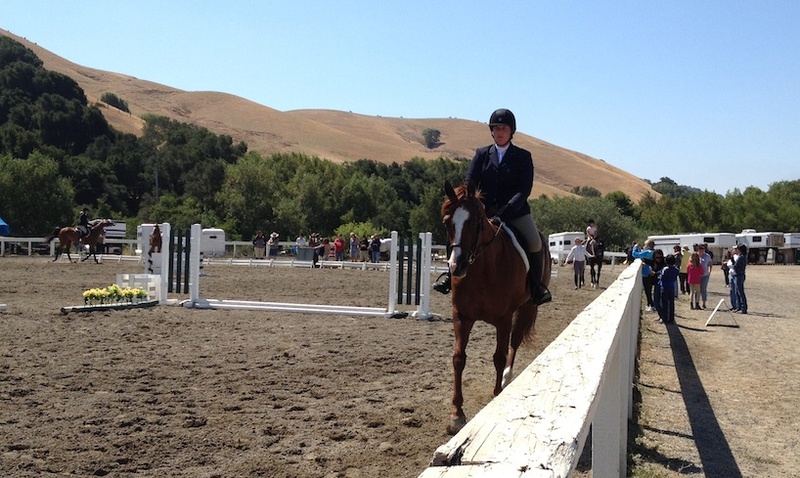 Wilbur rocked his very first horse show! We'd been eagerly awaiting the KMT Tri-Valley Classic hosted at our home, Shiloh West. I'd taken him to the show in Livermore but just to hang and get a feel for the scene. It had been a few months and I was a little nervous to see how he'd react to new horses, trailers, and lots of activity around the ring! 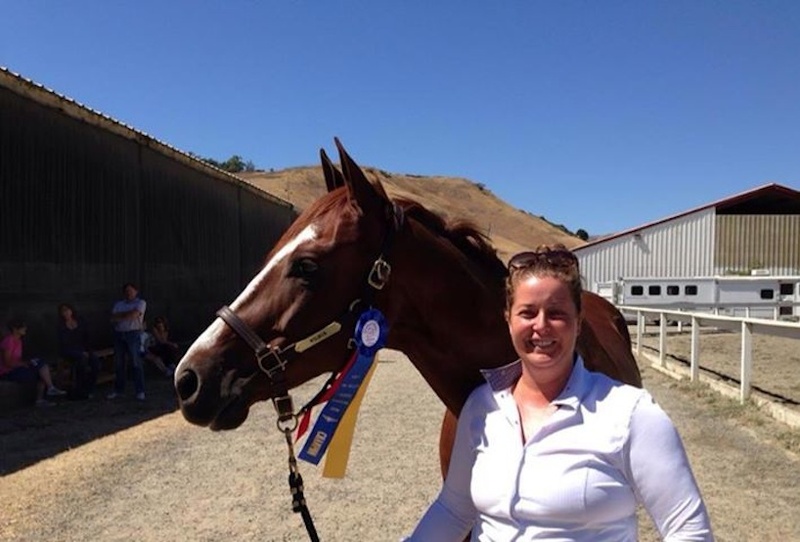 We entered into the "pile of poles" walk/trot division (no flowers!!!) 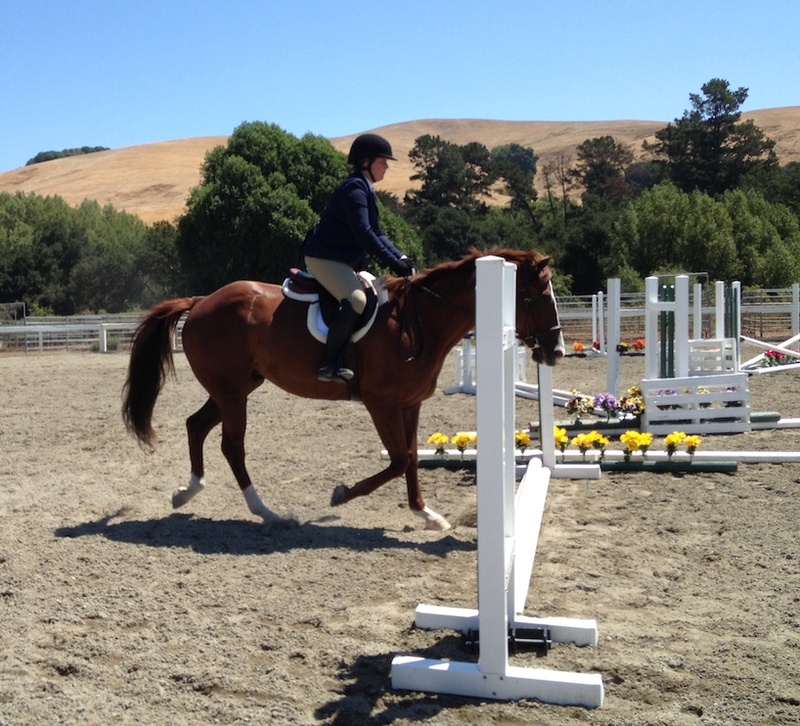 which consisted of 4 classes- 2 under saddle and 2 over poles. Before getting started we had the opportunity to walk the course. 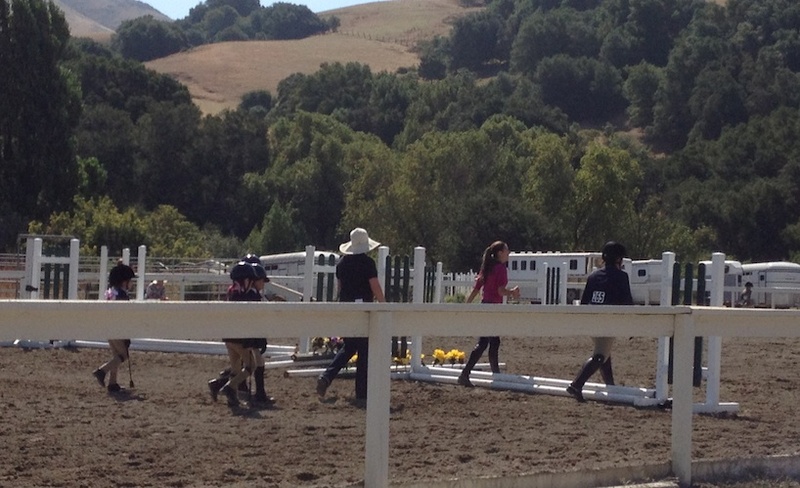 Trainer Amanda is wearing her sunhat, Abby, our awesome volunteer, is pretty in pink.....and then there's me. With a bunch of cuties all decked out in their show finest! Quite the age range! Me on the far right, a teen on the far left, and a small child with a "handler" giving her a helping hand. 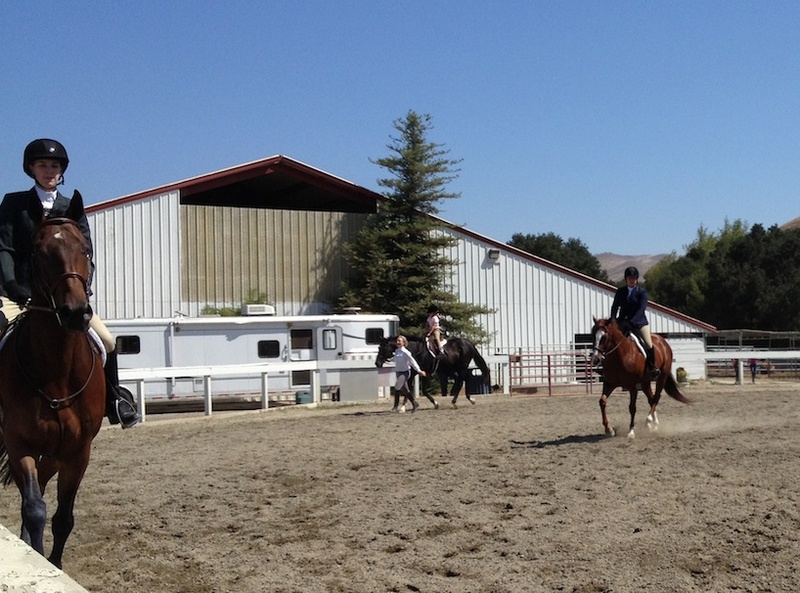 After a few near misses in the first class- the judge decided to split the large group in two. Whew. I almost ran a few kids over. 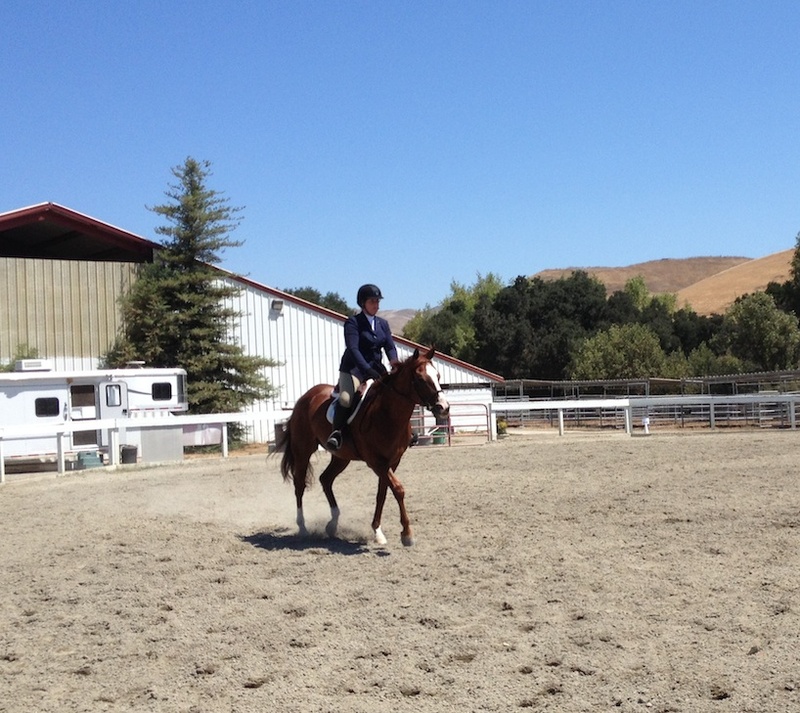 Wilbur and I flying solo in the ring heading towards a pile of poles. 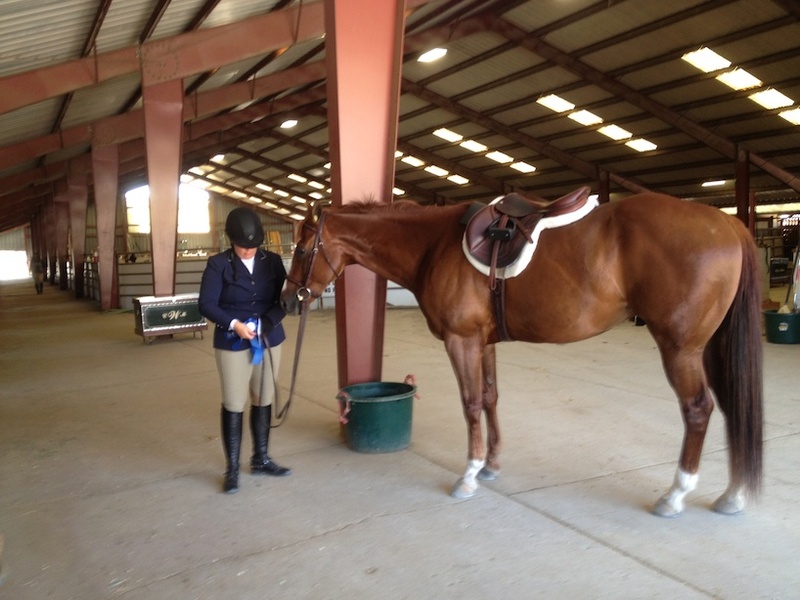 Back at the barn grabbing a drink of water and looking at our blue ribbon! Wilbur was Champion of the whole division! 3 blues and a yellow! So proud of this guy!